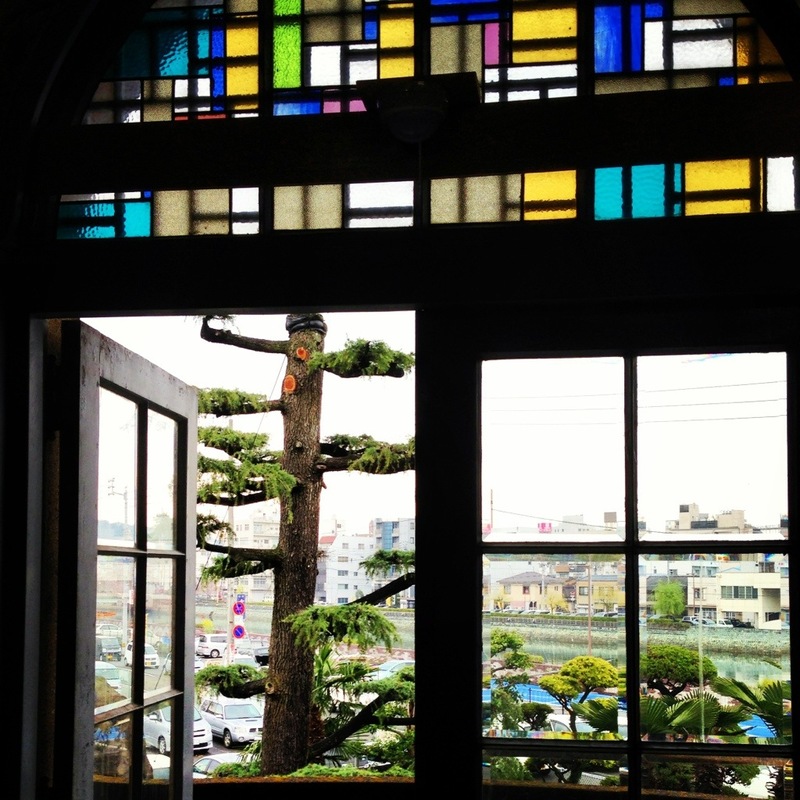 Due to the positive feedback the photographs from Mikawa House received, I have decided to add a larger compilation of images to this blog (many of which were originally edited and uploaded via instagram). I was contacted by people who remembered visiting the house during its time as accommodation for nursing students, so this may be of particular interest to them. The approach to Mikawa House. 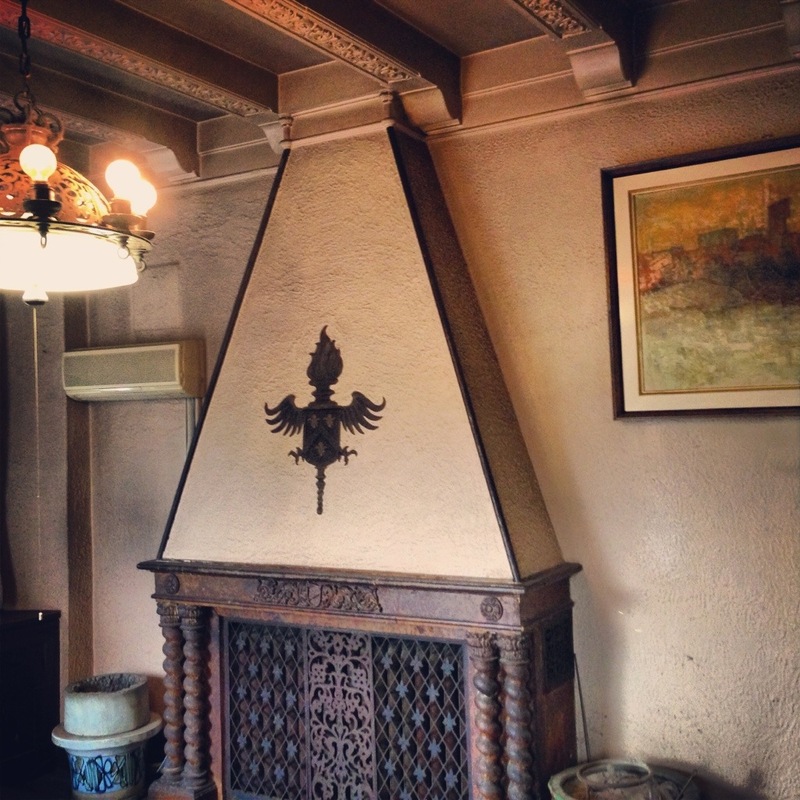 A fireplace on the ground floor. Stained glass above doors to the balcony. 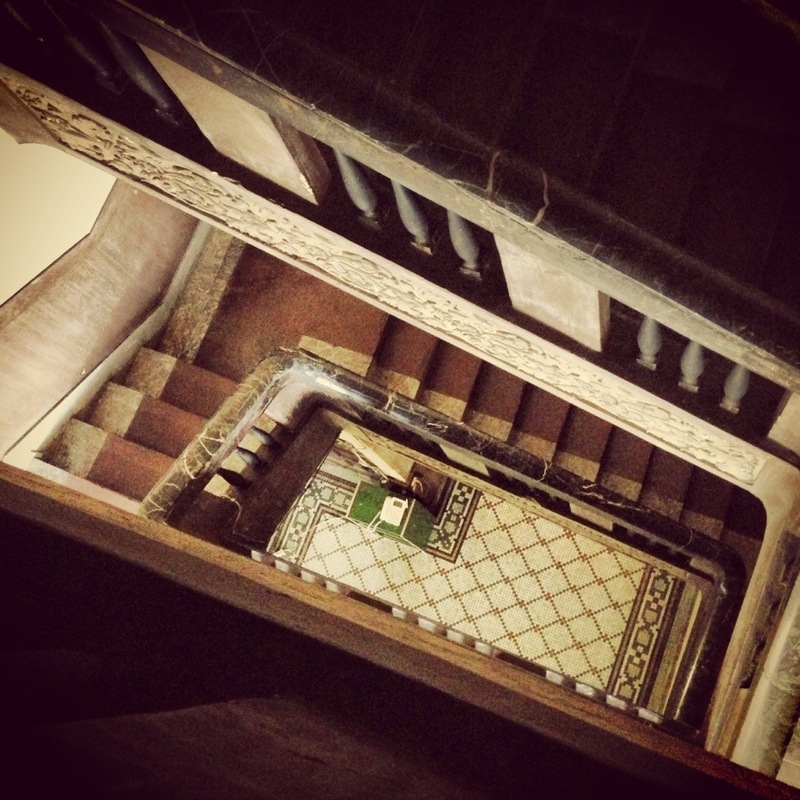 The flight of marble stairs. 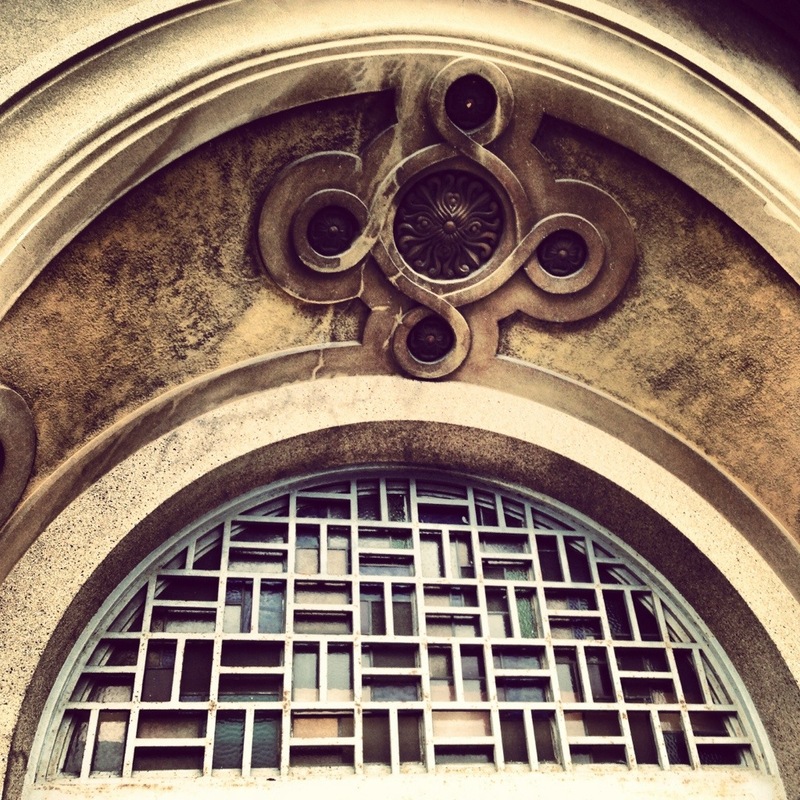 Art nouveau arch and stained glass. 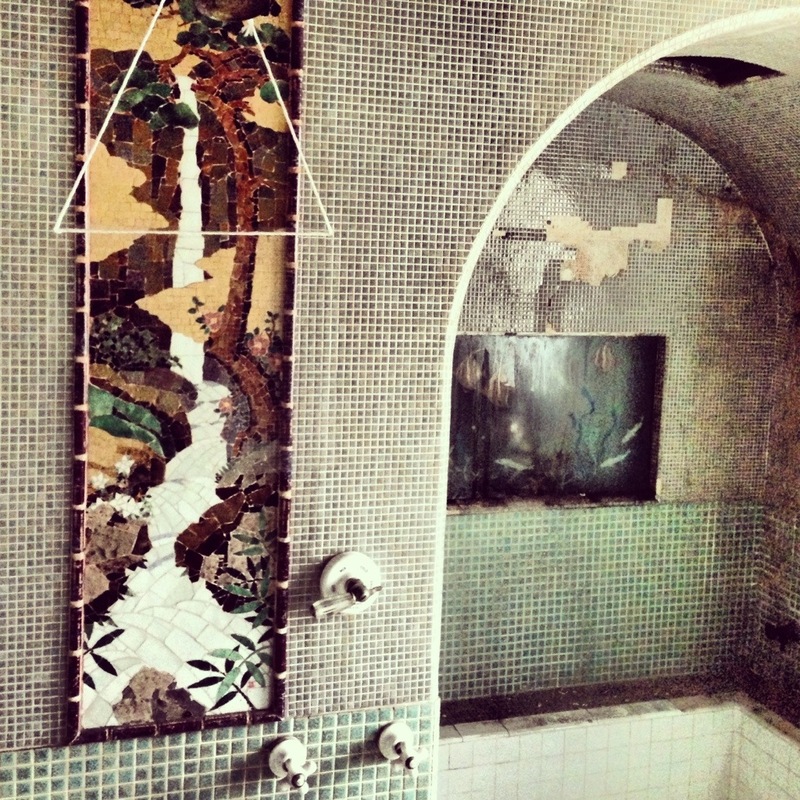 The main bathroom, with a mosaic of a traditional Japanese scene. Mikawa House sits on the banks of the Shinmachi river near the Prefectural Office in Tokushima-shi. Built in 1928, it is the oldest European-style residence in the prefecture. Thankfully, the building survived the heavy U.S. bombing of the city during the Asia Pacific War and was designated as an Important Cultural Property by the national government in 2007. However, it currently stands unoccupied and inaccessible to the general public. The house was originally owned by Yoshiyaki Mikawa, a doctor of obstetrics and gynaecology who had studied radiology at Universtat zu Berlin. Following the Great Kanto Earthquake in 1923, Mikawa realised the importance of creating earthquake resistant buildings. He enlisted the help of Kinouchi Toyojiro, an industrial engineer who had also studied in Germany, at Leipzig. 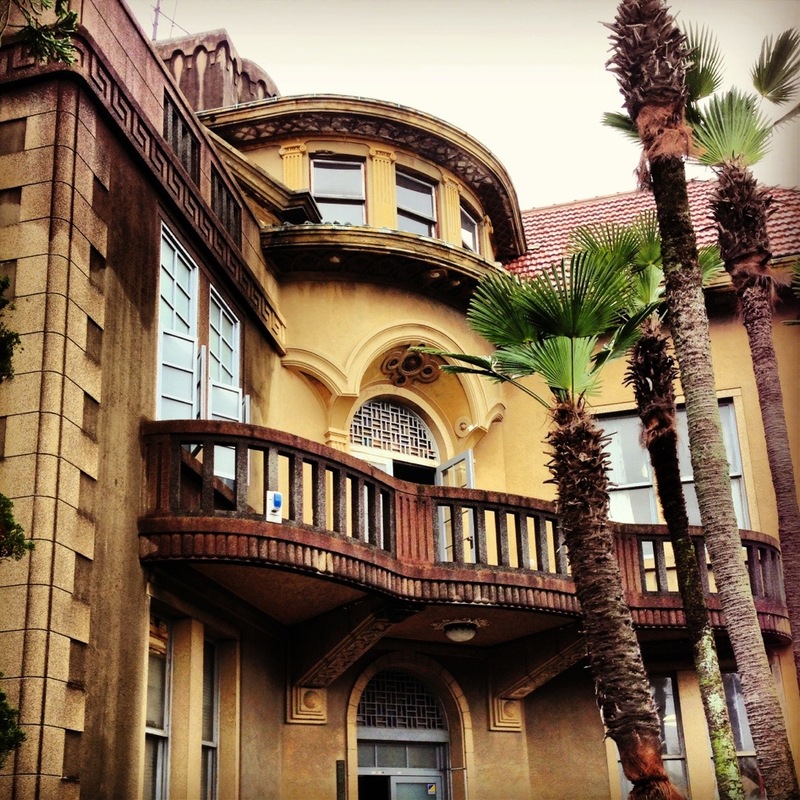 Mikawa House was built in the Jugendstil style (“The style of youth”), a movement influenced by English Art Nouveau as well as Japanese applied arts and prints. Made from ferroconcrete, the house is said to resemble a German country house or castle – one of an array of cultural connections between Tokushima and Germany from this period. Mikawa House is currently owned and maintained by the Tokushima city government, staff of the city’s education research department, including myself, were given a supervised tour of the building to appreciate its layout and unique features. The exterior of the house and surrounding garden are all that can currently be seen by the public, either from the roads along the banks of the Shinmachi river or from trains bound for Mugi on the JR line (which runs past the property). The house boasts a turret-style chimney, a gargoyle perched on the roof overlooking the river and curvaceous, mosaic tiled balconies. 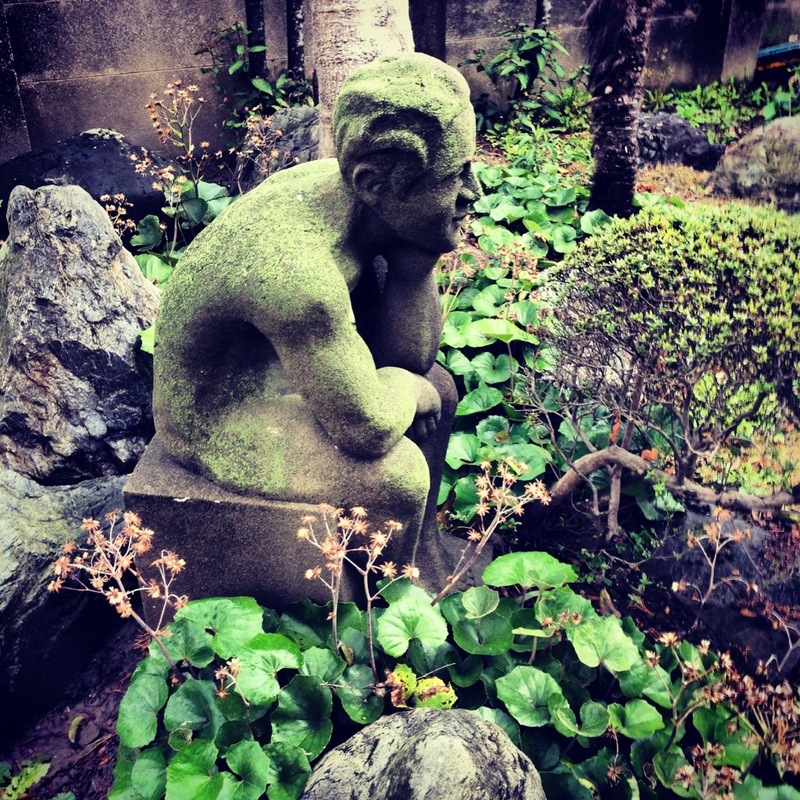 The garden is a fusion of east and west, with moss-covered statues of lions and athletic figures in thoughtful poses standing amongst more traditional Japanese stone arrangements. 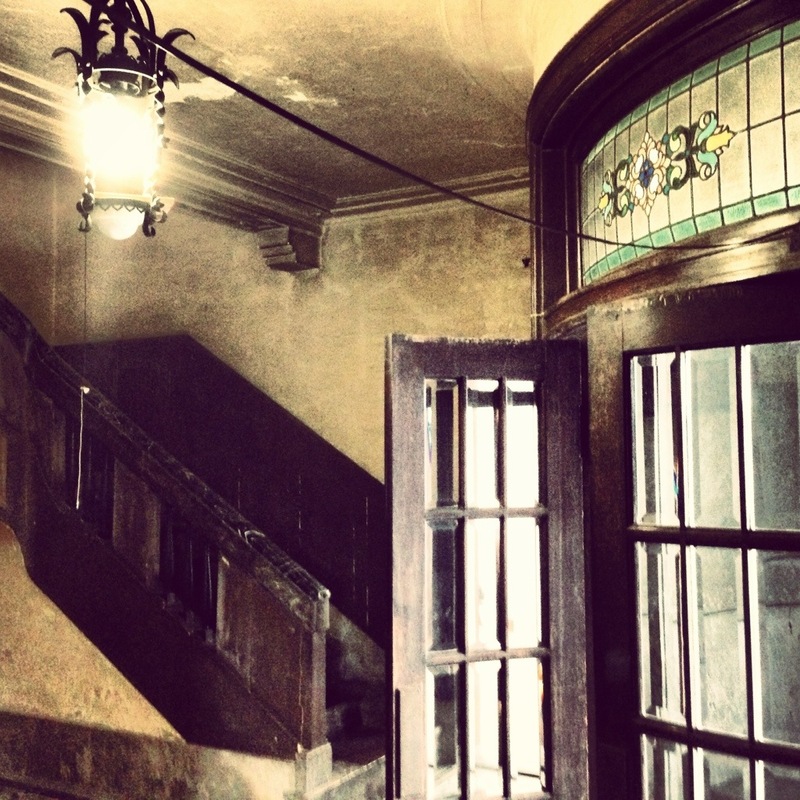 This juxtaposition is continued throughout the interior of the property. The garden of Mikawa House. 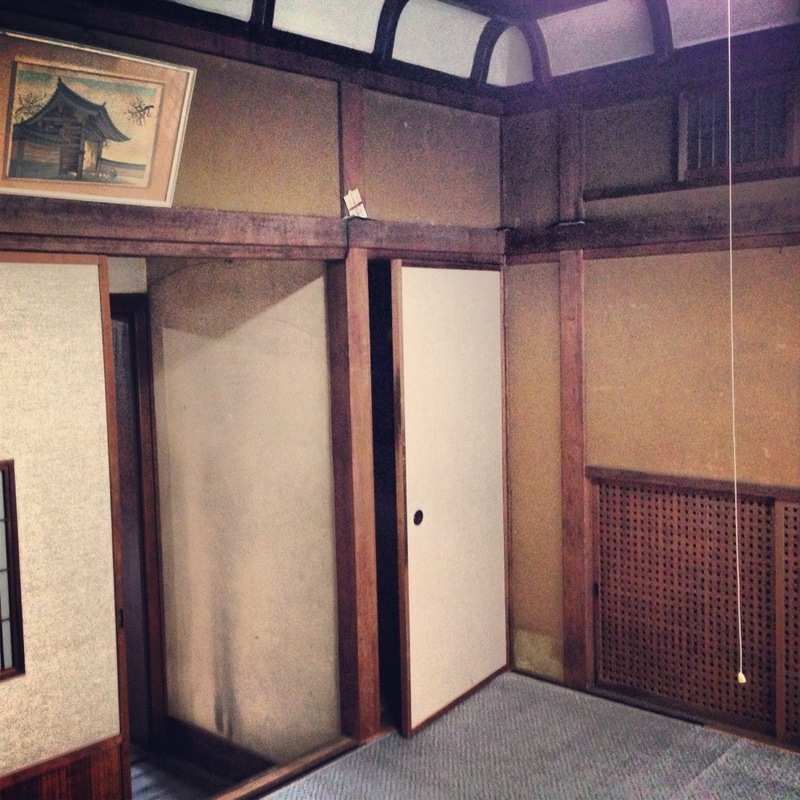 The layout of the property is very different from that of other Japanese homes of the period. A grand porch leads to the main hall with doors to the drawing room, dining room and access to a corridor leading to the kitchen and utility rooms. A marble staircase can be taken up to the second and third floors, each with spacious landings and corridors. The landing on the second floor has parquet wood flooring and it opens on to a wide balcony over the porch below. 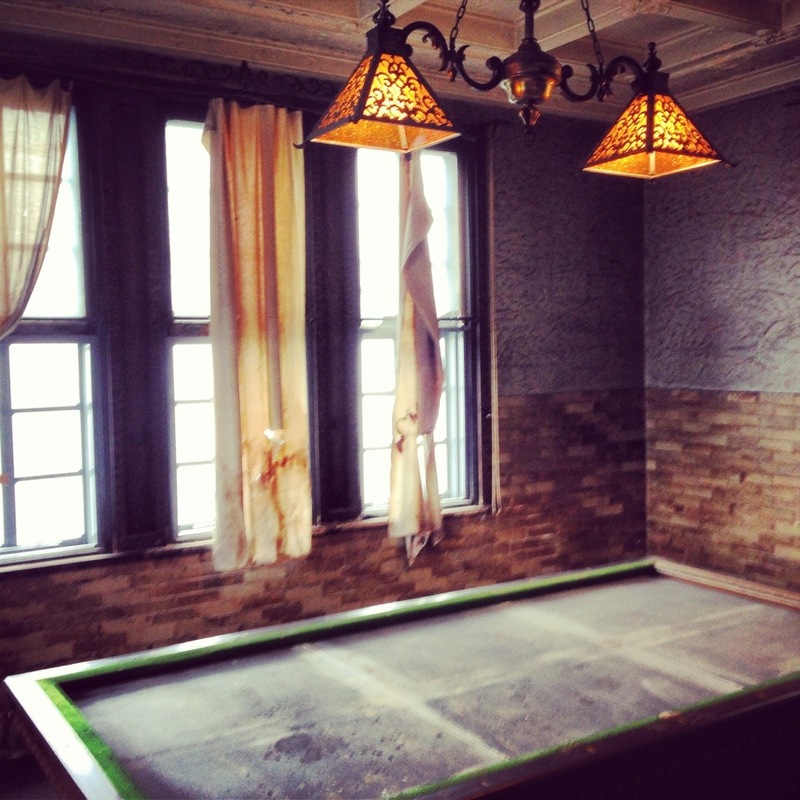 There is also a games room with the original carom billiards table (pocketless) standing in front of a large fireplace in a state of disrepair. Nevertheless, Japanese influences remain, there is an eight mat tatami room on the same floor complete with sliding doors and an alcove. The third floor, containing sleeping quarters, is the least opulent. The landing – with access to the balcony on the left, the games room in the centre and the tatami room on the right. There are sash windows throughout the property and there is stained glass over double doors to the porch and balconies. In the majority of rooms the walls are papered and the floors are carpeted – although they are badly worn and in a poor condition. Coving and skirting boards are other obvious European features. A number of rooms contain fireplaces and chandeliers hang from the ceiling, while additional lighting appears to have been added at a later date. 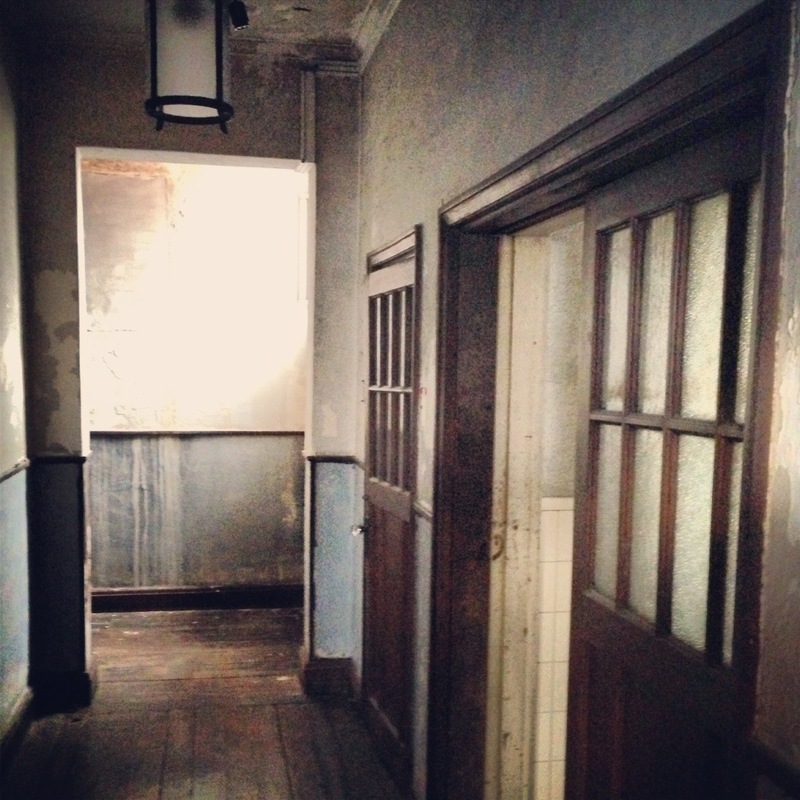 Until approximately twenty years ago, the house was used as accommodation for student nurses. Locals recall seeing laundry hanging from the balconies and bikes parked outside. Air conditioning units, additional bathing facilities and western style toilets are notable later additions that would need to be removed to return the property to its former glory. 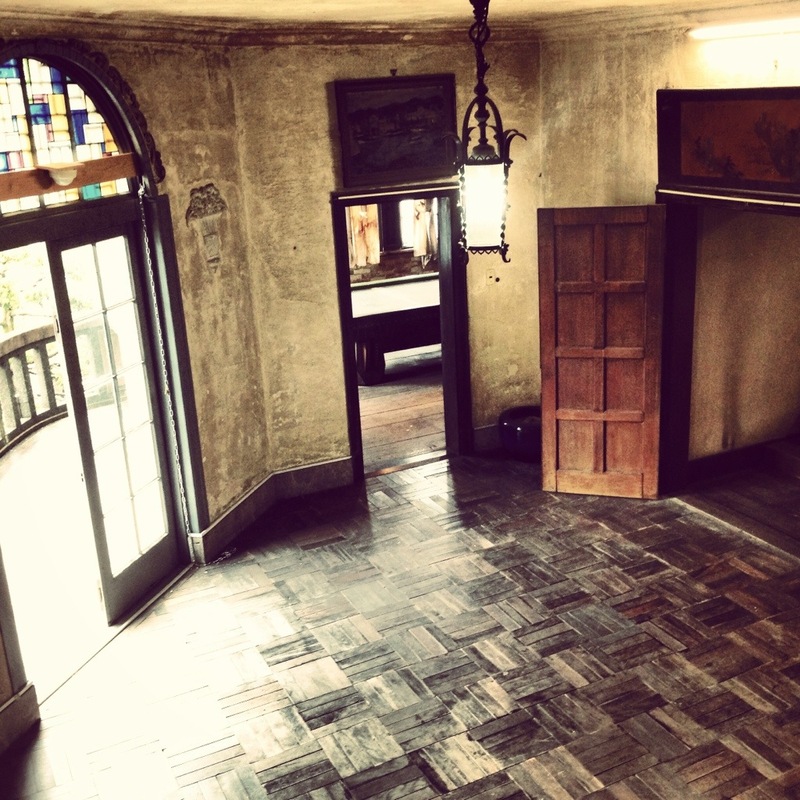 Although there are ambitions to transform Mikawa House into a museum open to the public it is thought that it would cost five hundred million yen to restore the original features and remove the alterations. Although the current condition of the interior is unfortunate, it is perhaps understandable given the most recent occupants. The exterior and garden are well maintained by the city government with the objective being to preserve the building for future generations. Ambitions to restore the property could be realised if funding becomes available.